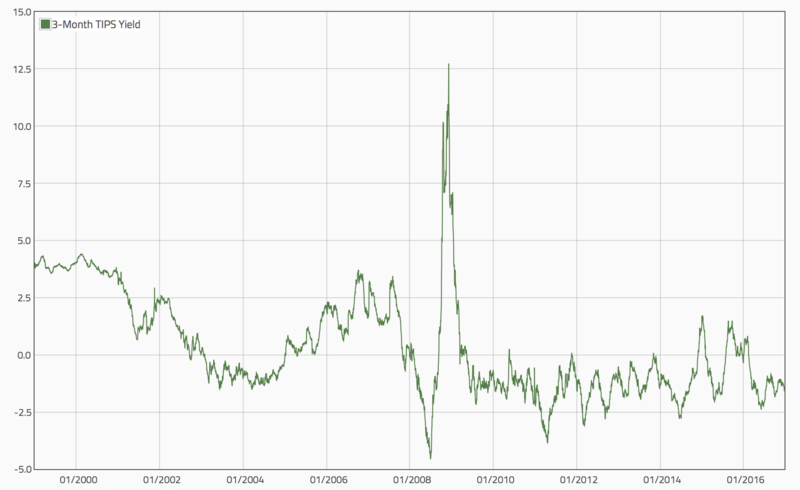 In a high frequency model i would like to add daily real interest rates (preferably short-term) as a variable. 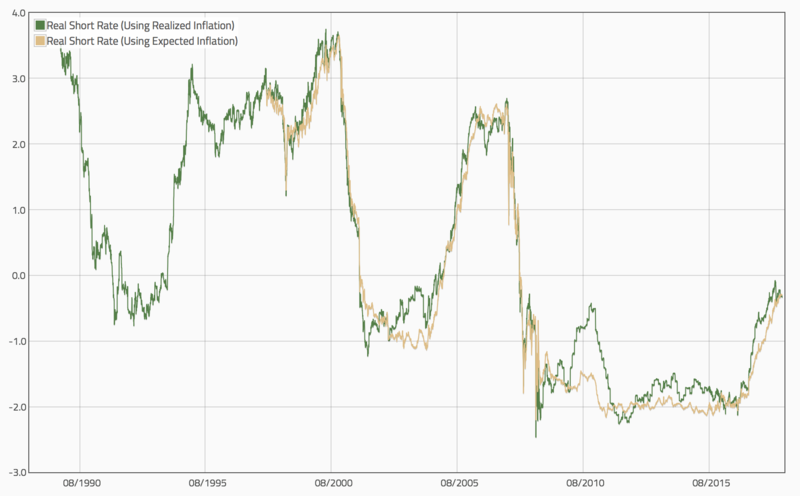 However, I cannot seem to find either daily CPI data, or daily real interest rates (which go back to 1998). Is there some kind of daily proxy i could use, or maybe a way to calculate daily real rates with monthly data for CPI? You have several options, but most of them involve some form of interpolation. Option 1 is to use short-term interest rate minus realized year-over-year inflation. Since inflation is published monthly with a one-month lag, you'd need to do some (very harmless) interpolations. Since interest rate embeds forward expectations, a potentially better option is to use expected inflation (e.g., consensus economic forecasts). Depending on the data source, these could be of slightly higher frequency and are generally more timely. But in the end, some interpolations will still be needed. Not the answer you're looking for? Browse other questions tagged interest-rates regression high-frequency duration inflation or ask your own question. In Linear Regression for time series stock prediction, instead of cost function, use final portfolio value?